Welcome to a special edition of Road Freight News dealing only with industrial relations. Recent ACTU announcements suggest that we are moving to a more adversarial climate when it comes to industrial relations, with big policy changes likely to be on the way. Many of you will have seen the ACTU's commercials calling for significant changes to the current workplace relations laws. It is clear that polling, electoral redistributions, and internal divisions in the current government will make the next election very interesting. With this in mind, and with the high possibility of a change of government, we believe that you need to know about some of the changes to the industrial relations framework on the horizon that will effect your business and bottom line. In this edition of Freight News we have worked with Ai Group to provide a summary of what appear to be some of the key elements of the ACTU's policy objectives, as they currently stand. We have also set out a brief update of some of the recent decisions concerning an ACTU push for domestic violence leave entitlements and new requirements for employers to provide flexible work arrangement for employees with caring and family responsibilities that will impact upon members, as well as associated developments. I am acutely aware that Industrial Relations is one of the key day to day challenges for our members. For this reason, we have maintained our longstanding partnership with the Australian Industry Group (Ai Group) in order to not only ensure that members' collective interests are advanced in major cases before industrial proceedings and through lobbying efforts with relevant governments, but to also enable members to access expert advice and assistance when needed. The help available is outlined below and as a solicitor who has previously practiced in this area I would encourage you to make use of it. Forewarned is forearmed. I would also encourage members to consider attending a free Ai Group briefing covering workplace relations issues that has been scheduled for the morning of Friday 25 May 2018. Please see the invitation at the end of this edition of Freight News and RSVP as soon as possible. This is an ideal opportunity to both get up to speed with key issues facing the industry and to engage with other operators in the sector. 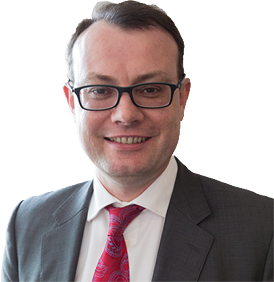 Brent has an extensive track record of assisting road transport industry employers ranging from the majors through to smaller family owned businesses and he regularly acts as the leading employer advocate representing the collective interests of our members in major proceedings before relevant industrial tribunals. This includes routinely appearing in proceedings setting the content of modern awards and contract determinations applicable to our members as well as a raft of major Test Cases. The ACTU is pressing the Labor Party to commit to making sweeping changes to the Fair Work Act if elected to give unions a lot more power, including much wider rights to strike, more generous worker entitlements, and wider powers for the FWC. ACTU Secretary Sally McManus outlined the unions' proposals in a speech to the National Press Club on 21 March. In its media comments, Ai Group described Sally McManus' speech as a re-hash of flawed arguments, misrepresented statistics and discredited policy proposals that the unions have been peddling for some time. The ACTU is campaigning under the slogan 'Change the Rules'. Ai Group is strongly opposing the campaign and pointing out the numerous fallacies in the materials that the unions are distributing. Some relevant facts are set out in the following table. 1 That casual employment is increasing in Australia ABS statistics show that casual employment has been stable in Australia for the past 20 years at about 20% of the workforce. 2 That labour hire is increasing in Australia ABS statistics show that approximately 1% of all employed persons across Australia are labour hire employees. This remains a very small proportion of the workforce. 3 That independent contracting is increasing in Australia ABS statistics show that self-employed independent contractors make up about 8.5% of employed people. This proportion has decreased from 9.1% in 2014. By far, the biggest group of independent contractors are engaged in the construction industry (e.g. plumbers and electricians). 4 That a large proportion of workers are "gig economy" workers The number of people who work for Uber, Airtasker, Foodora and other "gig economy" businesses is a tiny fraction of the workforce - much less than 1%. 5 That the definition of casual employment has changed in recent years and a new definition is needed. The standard definition of casual employment in awards is "an employee engaged as a casual and paid as a casual". This sensible and clear definition has been the same for decades. The ACTU wants to introduce a new definition based on the work patterns of an employee, which would be uncertain and unworkable. The ACTU's arguments for a new definition were recently rejected by a Full Bench of the FWC. 6 That casual employees should have the right to convert to permanent employment after 6 months, with an employer having no right to refuse Under standard award clauses, casual employees have the right to seek to convert to permanent employment after 6 or 12 months of regular employment. An employer can only refuse on reasonable business grounds. 7 That unions should have the right to bargain, including taking industrial action, across entire industries and supply chains, This proposal would be extremely damaging for businesses and the economy. 9 That workers should have the right to pursue unfair dismissal claims for labour hire workers against host employers The employer of a labour hire worker is the relevant labour hire company. Businesses that use labour hire should not be exposed to unfair dismissal claims from labour hire workers. 10 That the Fair Work Act is unfair upon workers and unions The Fair Work Act was introduced by the Labor Government in 2009 markedly increased worker entitlements and union power. Since its introduction it has been amended on several occasions by the Labor and Coalition Governments to increase worker entitlements and to impose much higher penalties on employers. In what it has described as an escalation of its change the rules campaign, the ACTU has foreshadowed a serious of street rallies in support of its calls for a change to current workplace relations laws. The events are to be held during the second half of April and throughout May. There is currently limited detail about precisely what is being planned available. However, the ACTU has indicated that people will march, rally and gather in Melbourne, Hobart, Canberra, Wollongong, Adelaide, Cairns, Toowoomba, Sydney, Fremantle, Southport, Sunshine Coast, Maryborough, Brisbane, Townsville, Rockhampton, Mackay, Darwin and Thursday Island with more events being planned in regional centres across the country. Road Freight NSW members who anticipate being adversely impacted by any of these events are urged to contact the info-line for advice and assistance. The Labor Party has been floating various workplace relations policy proposals that will be problematic for businesses if implemented. On 15 March, Shadow Employment and Workplace Relations Minister, Brendan O'Connor, gave a speech which floated some further proposed changes to the Fair Work Act. Termination of any enterprise agreements that were made under the WorkChoices legislation between 2006 and 2009, that are still in operation. Restricting the ability for employers to apply to terminate expired enterprise agreements. Restricting the ability for employers to reach an enterprise agreement with a small group of employees and later apply that agreement to a large number of employees. Expanding the multi-employer bargaining provisions of the Fair Work Act, particularly to give low paid workers and those with little industrial power the ability to obtain an enterprise agreement. Restricting the engagement of casual employees, through defining casual employment in a narrow manner in the National Employment Standards. Employees who do not meet the definition would be entitled to annual leave, personal/carer's leave and other entitlements of permanent employees. Giving all employees an entitlement to 10 days of paid domestic violence leave per year through the National Employment Standards. Expanding the equal remuneration provisions of the Act. Setting a floor for the National Minimum Wage of 60% of median earnings, or changing the criteria in the Fair Work Act to require the FWC to give more weight to the needs of low paid workers and consequently less weight to economic factors and the interests of employers. Regulating work arrangements for "gig workers". Ai Group has expressed deep concerns over many of these proposals and is regularly arguing against them. The period leading up to the next federal election is likely to see significant public debate regarding industrial relations issues. 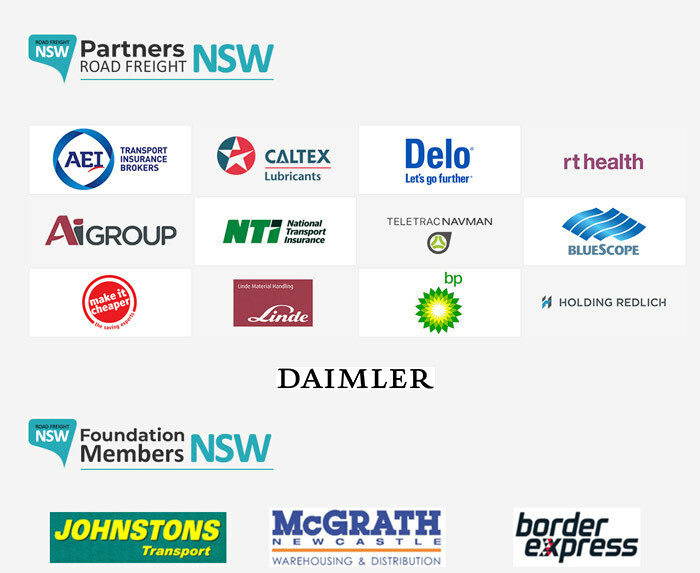 Road Freight NSW Members with questions or views about these proposals are encouraged to contact Brent Ferguson, National Manager - Workplace Relations Policy and Advocacy, at the Ai Group, on 02 9466 5530. Members will recall that the Fair Work Commission (FWC) issued a decision last year rejecting an ACTU claim for 10 days of paid domestic violence leave for award covered employees. However, on 26 March a Full Bench of the FWC issued a further decision in which it endorsed the introduction of a limited entitlement to unpaid domestic violence leave. It has decided to implement an award entitlement to up to five days of unpaid leave per year for those who need to deal with the impact of domestic violence. An employee will only be able to take the leave if it is necessary for them to do something to deal with the impact of the domestic violence, and it is impractical for them to do it outside of working hours. Ai Group, played a leading role throughout the FWC's Domestic Violence Leave Case in representing the interests of employers. In its media comments, Ai Group said that domestic violence is totally unacceptable and that employers typically take a compassionate approach when employees who experience domestic violence need to take some leave. While different employers have different capacities to provide assistance to employees experiencing domestic violence, most employers are not likely to experience problems with what the Commission has decided. The FWC intends to issue a draft award clause for public comment. Ai Group will consider the draft clause and express its views on the clause to the Commission. The Commission intends to review the operation of the unpaid domestic violence leave entitlements in June 2021 and, at that time, also consider whether any paid domestic leave entitlements should be provided and/or access granted to personal/carer's leave entitlements. 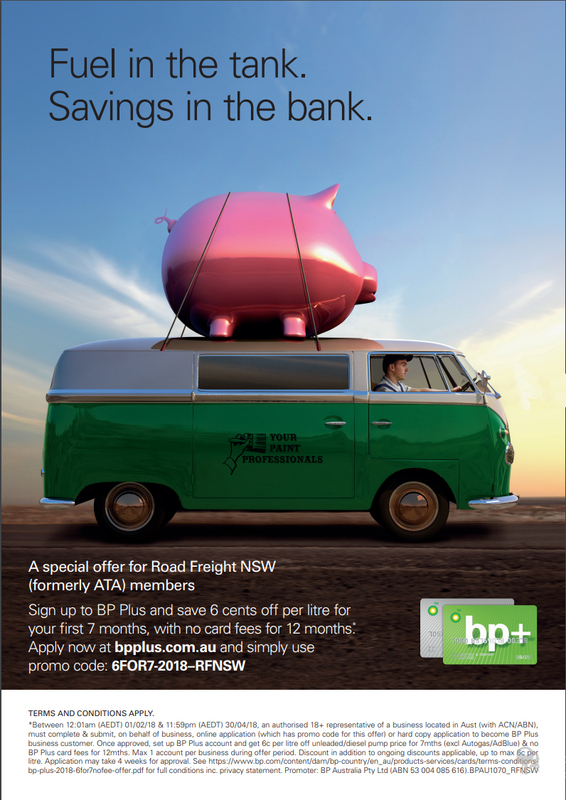 Road Freight NSW members will be advised of any variation to relevant awards implementing the new entitlements, once the wording of the proposed clause has been finalised. Immediately following the FWC's Unpaid Domestic Violence Leave Decision, the Minister for Small and Family Business, the Workplace and Deregulation, Craig Laundy, announced that the Government intends to implement an entitlement to five days of unpaid domestic violence leave through amendments to the Fair Work Act. This will have the effect of extending the unpaid leave entitlement determined by the FWC for award-covered employees to those employees who are not covered by an award. The legislation has not yet been drafted. On 26 March, a Full Bench of the FWC handed down its decision in the Family Friendly Work Arrangements Case. In these proceedings, the ACTU's pressed a claim for all awards to be varied to give employees the right to dictate to their employer what hours and days they work in order to accommodate their caring or parental responsibilities, with an employer having no right to refuse regardless of the circumstances. Ai Group strongly opposed the ACTU's proposal in major proceedings conducted last year. Fortunately, the Commission has accepted many of the arguments it raised and has rejected the ACTU's claim. The Commission has however drafted a proposed new model award clause aimed at facilitating discussion between employers and employees about flexible work arrangements rather than imposing outcomes upon employers, and has called for submissions on the model clause. Ai Group will study the decision and the draft clause and will express its views to the Commission by the 1 May 2018 deadline. 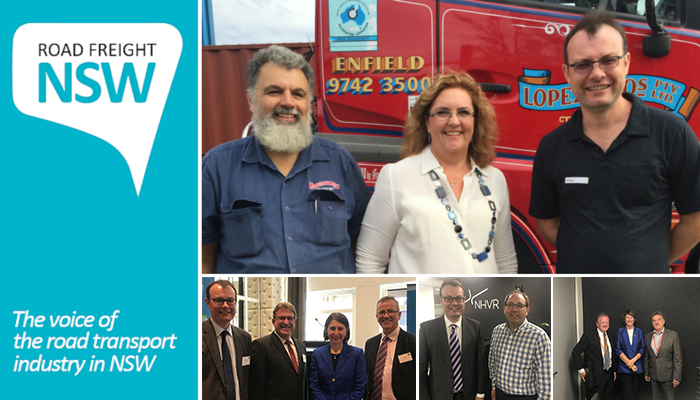 Road Freight NSW members are invited to a free Ai Group briefing covering workplace relations developments of relevance to employers in the Road Transport and Logistics sector. New award entitlements relating to domestic violence leave and now requirements relating to the provision of 'family friendly work arrangements to employees. Time & Date: 8.30am to 10am on Friday, 25 May 2018 (registration from 8.15am). RSVP: Members wishing to attending must RSVP by email Cissy Fang at the Ai Group via cissy.fang@aigroup.com.au. Please provide details of the name of the Company and the number of attendees. Members should RSVP as soon as possible to secure a seat. Please click here to unsubscribe from our mail list.